The R.O.C.K is our kids ministry for children up to 12 years old. Join us every Sunday morning at 10:30 AM! The ROCK is currently finishing up a series of lessons talking about the names of Jesus. 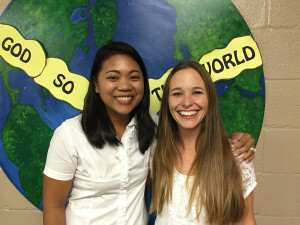 The ROCK is led by Michelle Doan & Juliet Johnson. Our girls ministries meet every Wednesday night at 6:30 PM. Our mission is to reach, teach, and keep boys and young men for Christ by evangelizing the district, equipping the current and next generation of Christlike men, and empowering lifelong servant leaders by instructing, challenging, and inspiring them in the areas of Bible doctrine, Christian service, moral conduct, and basic beliefs of our church. We have a staffed nursery for Sunday School and Sunday Morning Church Services. The nursery is also available for parents to use during our Wednesday evening Family Night activities.